I’m slowly researching these theories and also thinking about some theories of my own. I want to know how the heck humans got here! 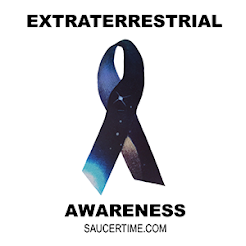 Say we come in to contact with intelligent life forms from another planet. The aliens will be thinking WE are aliens OR even crazier, we might be thinking the aliens are humans! Single cell prokaryotes were found in the oldest ancient fossil on Earth which dated back to 3.5 billions years ago. The fossil also had biomarkers of photosynthesis which means plants were growing around this time as well. That makes sense; Earth forms in space with space rocks containing life forming cells. Everything begins to grow with the help of Earth’s Atmosphere and it’s place in the solar system. Rocks with cells to microorganisms to plants all seems like a smooth life evolving transition. Then after the reptiles come more species of animals and then out of no where a human? Way weird. We still don’t know how ancient reptiles and humans got here, but it’s pretty common sense that all life is coming from the “Universe”. That’s where the first rocks containing life it’s self came from. All these thoughts came to me as I was contemplating how anyone would think that Earth is the only planet with life on it. The universe is infinite and of course there is life in it! It made Earth! The ground we are standing on, Earth itself, is the biggest piece of evidence we have to discovering extraterrestrials!